Featuring free WiFi and a terrace, Number 19 Guest House offers accommodation in Dalton in Furness. The rooms come with a flat-screen TV. The rooms h.. Located just 17 minutes’ drive south of the Lake District National Park, Chequers Hotel is quietly nestled between the towns of Barrow-in-Furness an..
Set 40 km from Blackpool and 31 km from Windermere, Tom'S Cottage offers accommodation in Dalton in Furness. 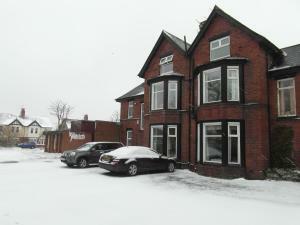 The unit is 49 km from Keswick, and guest..
Set in Dalton in Furness, this holiday home is located 40 km from Blackpool. The property is 30 km from Windermere and free private parking is offered..
Anchor Gardens is located in Lindal in Furness. Free WiFi access is available in this holiday home. The accommodation will provide you with air condit..
Parknott S Pods is set in Askam in Furness, 42 km from Blackpool. Windermere is 29 km away. Free WiFi is provided throughout the property and free pri..
Crofters Lodge is a converted farm building adjacent to the Crofters pub and is situated on the outskirts of Barrow in Furness. Guests can enjoy free ..
Set in a Victorian semi-detached building, the Lisdoonie Hotel offers en suite bedrooms, free Wi-Fi and free parking. This family-run hotel is located..
Set in Millom in the Cumbria Region, this holiday home is 43 km from Blackpool. The property is 29 km from Windermere and features views of the garden..
A 5-minute drive from the centre of Barrow-in-Furness, the family-run Michaelson House Hotel is made of 2 Victorian houses joined together and has a r.. Located in Barrow in Furness, East Mount House is a guest house with garden and shared lounge/TV room, 3 miles from the North Walney National Nature R.. 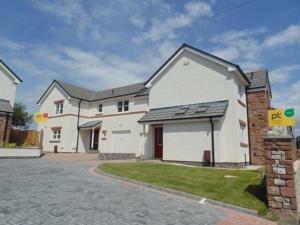 Located in Askam in Furness, this holiday home is situated 43 km from Blackpool. The unit is 29 km from Windermere. There is a dining area and a kitc.. Located in Barrow-in-Furness, in Cumbria, Green Bank Guest House is a guest house featuring a garden and shared lounge with TV. Free Wi-Fi access is a.. Located 2.4 km from Furness Abbey in Barrow in Furness, Ormsgill Inn features free WiFi access and free private parking. Guests can enjoy the on-site ..
Stewner Bank Cottage is a holiday home situated in Ulverston in the Cumbria Region and is 5 km from Laurel & Hardy Museum. 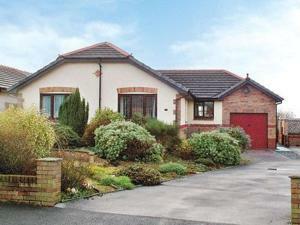 It provides free private pa..
Moorside Lodge is a holiday home set in Millom, 43 km from Blackpool. The property is 27 km from Windermere and free private parking is available. Th.. 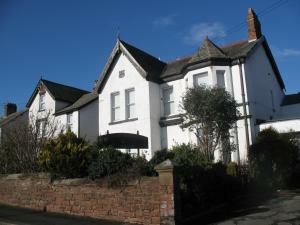 The Peat House is a holiday home set in Askam in Furness, 44 km from Blackpool. 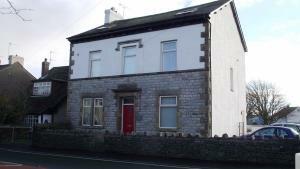 The property is 27 km from Windermere and free private parking is avai..
Red Lion House is set in Swarthmoor, 1.5 miles from Ulverston and at the start of the Cumbrian Way Walk. 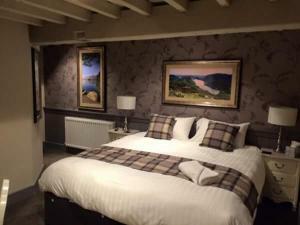 Each room at Red Lion House has attractive, .. 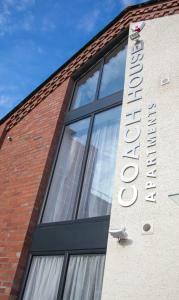 Featuring free WiFi, Coach House Apartments offers accommodation in Barrow in Furness. Furness Abbey is 3 km away. The accommodation is fitted with a..